Curtis B. Dooling was recently promoted to counsel at Pierce & Mandell, P.C. 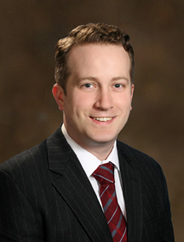 Curt has been practicing law for ten years and has been with the firm for over five years. Curt is a skilled litigator who has tried three cases to verdict in the last year and a half. Curt has a robust litigation practice that encompasses a wide range of matters, including complex commercial and business litigation, construction, personal injury, zoning and land use disputes, health care, and insurance defense and coverage issues.